In this no-cost webinar, Dr. Lynette Thompson will provide practical and creative ways that educators at any level can implement to reduce student anxiety. Student anxiety and depression are at all-time highs, join us to discuss how educators can implement simple changes to curb anxiety. The session will look to explain the trends and model coping skills for students. We will also examine everyday ways modern education is contributing to the problem. Participants will leave the session with practical, creative ways to implement early intervention strategies. As the Chief Administration Officer for BRIDGES Dr. Thompson leads a staff who works with children suffering from Mental Illness/Behavioral concerns as a part of a partial hospitalization program. Executive Director of Educational Services in Yukon, Oklahoma (Retired). Join us on the upcoming Insights To behavior Free Webinar Series on K-12 Behavior Management Best-Practices. Space is limited to 100 attendees and is filling up fast. Attend this 60-minute webinar and earn continuing education credits. Learn useful and proven strategies for managing behavior in the classroom. Get actionable insights from leading subject matter experts. Foster safer schools and more peaceful and productive classrooms. Discover best practices from other leading school districts. 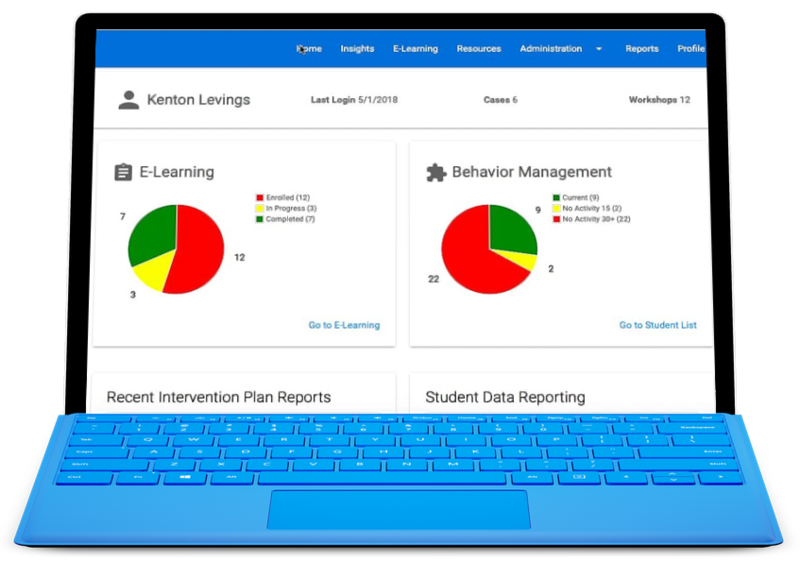 Modernizing K-12 Behavior Management and quickly creating, managing, and reporting on Individual Behavior Plans. Gain access to practical tools and how to implement them for maximum results. Click here, to register for the webinar. Modernize your District's Behavior Management with research-based best-practices.